In honour of Yorkshire Day, 1st August, we’re starting a new category of blog post here on Schools Prehistory – the county round-up. Although schools aren’t all tied in to their local authority quite so much, the county is an easy way to divide up the country into local areas, so here goes. Yorkshire has some amazing archaeology from the Stone Age, Bronze Age and Iron Age. One of the most famous sites is Star Carr in the Vale of Pickering in North Yorkshire. It dates to the early Mesolithic, just after the end of the last Ice Age around 9000 BC. We’ve shared some resources about this before, but the main sites are Star Carr project and Spencer Carter’s Microburin blog for general Mesolithic goodness. Star Carr could be used as the hunter-gatherer site to contrast with the farmers at Skara Brae. 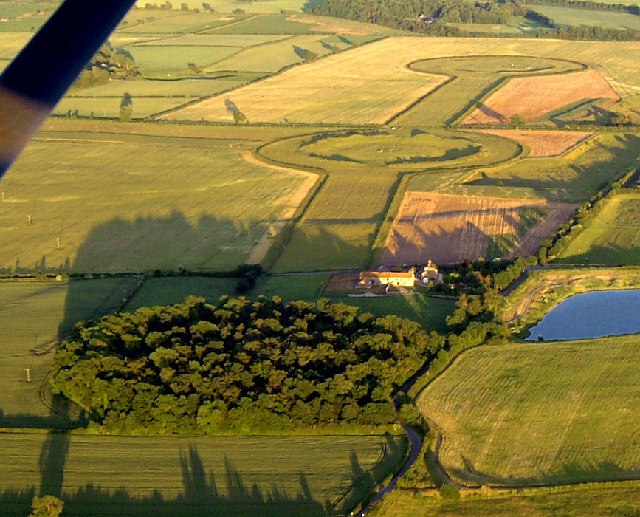 The spectacular Neolithic (late Stone Age) to Early Bronze Age henges (embanked circular enclosures without stone circles) at Thornborough in North Yorkshire are the largest such complex outside Wiltshire. We talked about Thornborough when we discussed the north-south divide in prehistoric archaeology. There’s more information about the henges and past research from the University of Newcastle. They could be studied for Stone Age to Bronze Age religion. Yorkshire, and indeed much of the north and Scotland, is littered with rock art, which is mostly considered to be Bronze Age. Cups, circles and spirals were cut into stones all over, and can be seen in woods, on moors and even in public parks, like Crowgill Park in Shipley, West Yorkshire. The best way to find some rock art near you is to look on the Northern Antiquarian blog, or on the Megalithic Portal, which is a wiki that anyone with an interest can add to. What the rock art meant is not known, though it could be to do with travel (as waymarkers?) or religion. Several logboats that might date to the Bronze or Iron Ages have been found in Yorkshire, the Ferriby boats on the north bank of the Humber being the most famous. Obviously good for studying Bronze Age travel and trade, they could also be used to look at technology. How can you make a hollowed-out log float? And how do you fell and shape it with bronze tools? What other ways are there of making a boat e.g. a coracle? 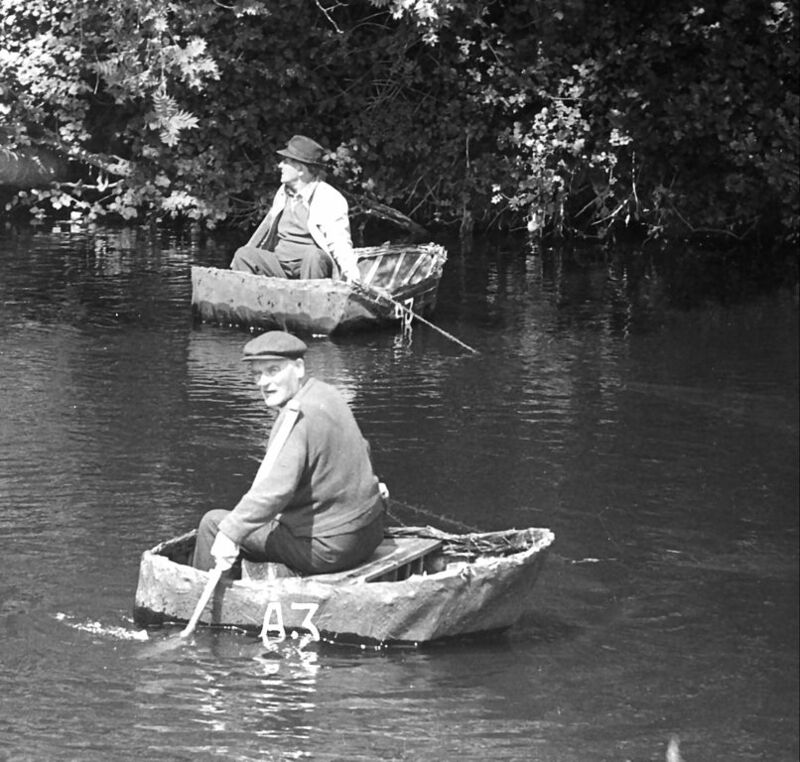 Coracles on the River Teifi, near Cardigan in Wales, 1972. By Velela via Wikimedia Commons. During the middle to late Iron Age the East Riding of Yorkshire was inhabited by the Parisi tribe who had links to the continent and incorporated one idea from their Gaulish cousins, chariot burials. The wonderfully named village of Wetwang seems to have been the centre for the Arras Culture and the most spectacular burials in Iron Age Britain, like this one of a woman that is now in the British Museum. Hull and East Riding Museum to walk through a reconstructed Iron Age village, see the Hasholme logboat, and wonder at what the Roos Carr figures were used for. Ryedale Folk Museum has a reconstructed Iron Age roundhouse and runs school sessions in it. Yorkshire Museum in York currently has an exhibition about Star Carr and will run exhibitions on Bronze Age and Iron Age Yorkshire in the next two years. Scarborough Rotunda Museum has some prehistoric collections on display, including Gristhorpe Man who dates back to the Bronze Age. Malton Museum which also has prehistoric collections and runs school sessions with artefact boxes. Prehistoric Nidderdale, a project looking at the landscape of Nidderdale AONB. Valley of the First Iron Masters is about the Foulness Valley in the East Riding in the Iron Age. Another plug for the Northern Antiquarian who visits and photographs loads of prehistoric sites in Yorkshire and elsewhere. West Yorkshire Archaeology Service is very useful for overviews of the archaeology of the area. Get in touch if there’s a resource or organisation that’s not on the list, or if you want to read or be on a round-up for another county.